INDIANAPOLIS — The Indiana Fever will have a new look this season, all thanks to a new sponsor. The WNBA team said Salesforce will be the team's new jersey partner. The uniforms were revealed Tuesday morning. 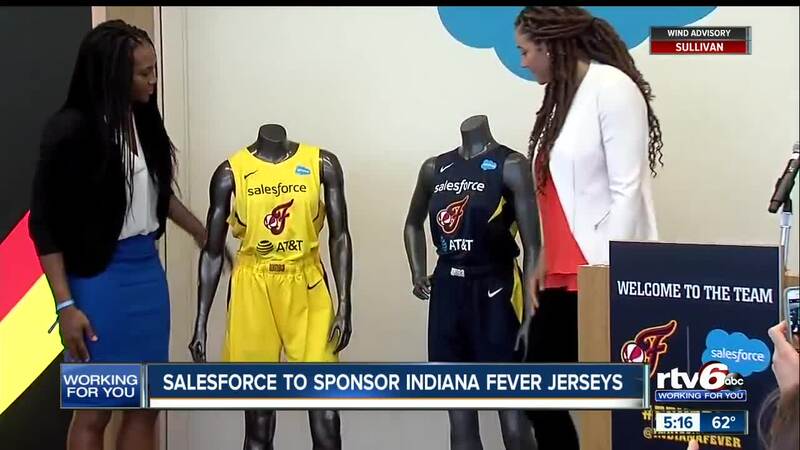 The names of Salesforce and another new sponsor, AT&T, will surround the Fever's logo. Salesforce replaced Finish Line, which sponsored the Fever through last season. Fans can get a look at the new jerseys on May 16 when the Fever host a preseason game against Chicago.